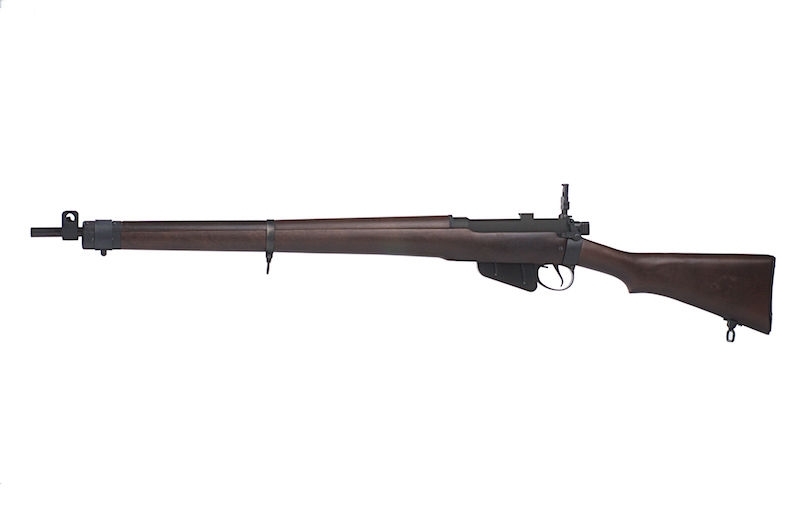 Lee Enfield No.4 full wood & metal, spring power in all its glory. Full replication of the classic Lee Enfield No. 4. Flip up and adjustable rear ladder sight. No. 4 Mk I was officially adopted in 1941.
elements sight lines offered by Mause.